If you could only listen to five albums, which ones would you choose? In the latest installment of Desert Island Discs, Orbo of Orbo & The Longshots makes his picks. If you had to go away for a while and you could only take five of your favorite albums with you, which ones would you choose? Yes, we know it isn’t a fair question, but that hasn’t stopped us from asking music fans who happen to be recording artists in their own right. 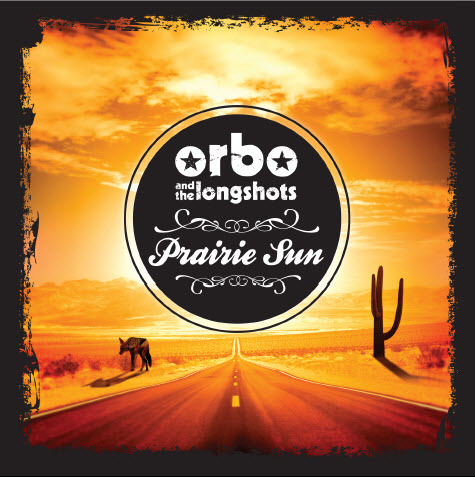 This edition of Desert Island Discs comes courtesy of singer/songwriter Orbo (Ole Reinert Berg-Olsen,) who, along with his band The Longshots (and some special guests like Delbert McClinton) is getting ready to release Prairie Sun on May 22nd. You can check out the video for “Highway Tears” below — and check out Orbo’s Desert Island picks, of course! Orbo says: I’ve often wondered about what songs I love the most and found it impossible to select a certain few. The album format is kind of disappearing with digital music single sale nowadays, and to me that’s tragic, cause I don’t think anything beats a good album. I really love when songs on an album grow on me, and I’ll keep listening to albums for as long as they come out in this great format. I don’t like to make mix tapes with songs from other artists or albums, cause I like to get under the skin of the songwriter and get the whole idea of what they’re talking about. Certain artists I just can’t live without and certain albums are part of my life – so as I need my arms and legs these five albums would be essential to my survival on a desert island. Lennon’s finest work in my opinion. Songs about love, life, family and Lennon himself – a man I’ve been fascinated by for many years. He captures everything in one great pop album and the sensual ‘Woman’ would help me remember what a woman feels like on a desert island. Also, ‘Beautiful Boy’ grasps that moment in time that passes in life maybe never to come back. Your own child growing up in such a fantastic world as this. And who knows, maybe left stranded on an island even Yoko’s songs would catch my interest! This great album by America’s greatest kept secret, singer/songwriter Kevin Welch’s fantastic album came out the year my daughter was born (2010) and I still listen to it. Almost a philosophical album, so near, so stripped and so intensely close to a universal truth for all mankind. This album is a fine piece of handcraft in the art of rock’n’roll. It sums up how great songwriting can become with great studio musicians working out songs and recording them. It goes to show that a great producer is essential. Rick Rubin made a diamond with Tom Petty here, and to me, he was never able to do it again, which is why it’s so great. One of the weirdest, but most intelligent albums of all time from the greatest of them all. You’re gonna need some theatrical entertainment whilst on an island. This one is it.